In these tough economic times, the third-party logistics industry continues to grow. Kane also has enjoyed steady, profitable growth thanks largely to your hard work and dedication. Over the last decade, there have been many mergers and acquisitions among logistics providers. This has created more large logistics providers – Kane competitors – who are really just a combination of multiple companies with different structures, different systems and, most of all, different cultures. 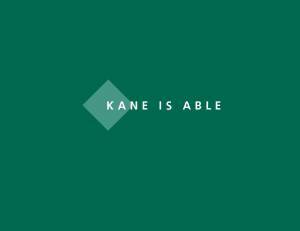 In contrast, Kane has grown without the benefit of acquisitions. Recently we examined the reasons why Kane is awarded new business, often winning against much larger competitors. We found that customers choose us because they appreciate working with a stable partner with deep roots and a strong, uniform culture that is embraced by its staff. Customers tell us the combination of sophisticated logistics solutions and a strong, service-oriented culture is something they don't often find among providers. Clearly, our culture -- and your ability to carry out that culture – is a competitive advantage. With that in mind, we developed the enclosed booklet designed to summarize the beliefs upon which our business was founded in 1930. Please take a few minutes to read it and thank you again for all you do to fulfill Kane's mission.